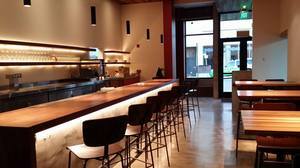 The bar at the new Great China, where you can now drink wine. And beer. Yay. Photo via Great China’s Facebook page. Well hallelujah, ~GREAT CHINA~ is now serving beer and wine! Which means you can now enjoy some of owner James Yu’s awesome wine collection, cheers to that. 2190 Bancroft Way at Fulton, Berkeley, 510-843-7996. To follow up on my earlier piece about rumored upcoming changes at ~JASPER’S CORNER TAP~, I have received official word that Kimpton is no longer the management company for the location as of January 30th, and a new ownership company, Access Hotels & Resorts, is taking over. Jasper’s will stay open, and current Kimpton employees have the opportunity to stay and interview with the new management company. One employee who won’t be staying is bar manager Kevin Diedrich, whose last bar shift will be Friday January 24th. He said, “It was a matter of time. I built this place and concepted it, but didn’t plan on being there forever.” He is leaving Kimpton on good terms, and for now is going to take a break, relax, regroup, and pick up a few shifts around town—he’s excited to get back to just bartending and not managing for a bit. Be sure to swing by and say thanks to Kevin for all the great drinks for the past two-plus years at the party they’re throwing on Friday evening. I’ll keep you updated on what’s next for this talented barman. Suds are taking this town by storm, and ~SF BEER WEEK~ is just around the corner to help you celebrate. Beer Week itself runs from Friday February 7th-Sunday February 16th, and there are all kinds of events all over the Bay Area. Options include special events like the whiskey train, which involves riding a streetcar while trying barrel-aged brews and whiskey; beer dinners including one with Homestead and Trappist in Oakland; and tastings at spots like Blackbird.The full lineup of events can be found here, along with details on tickets and reservations. And if you can’t make it to any events, be sure to swing by Dynamo Donut for beer donuts from Almanac. Uh-huh. Looking to get yourself primed and ready before February? 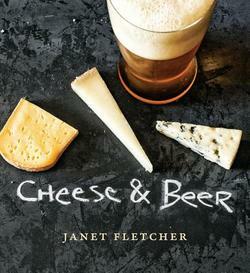 Head to a special beer and cheese pairing from Janet Fletcher on Saturday January 25th from 2pm-4pm. Fletcher, local author of the recently released Cheese & Beer, will lead attendees in a tasting and pairing of (what else?) beer and cheese. The book will be available for purchase and signing. Tickets are $50 per person and can be purchased by email or calling 415-333-5557. Purcell Murray Culinary Showroom and Amphitheatre, 185 Park Ln. at Valley, Brisbane. 415-333-5557.